We talked to music pros who shared their top secret tips on keeping everybody on the dance floor all night long. One of the highlights of your wedding reception will likely be dancing the night away surrounded by your nearest and dearest. 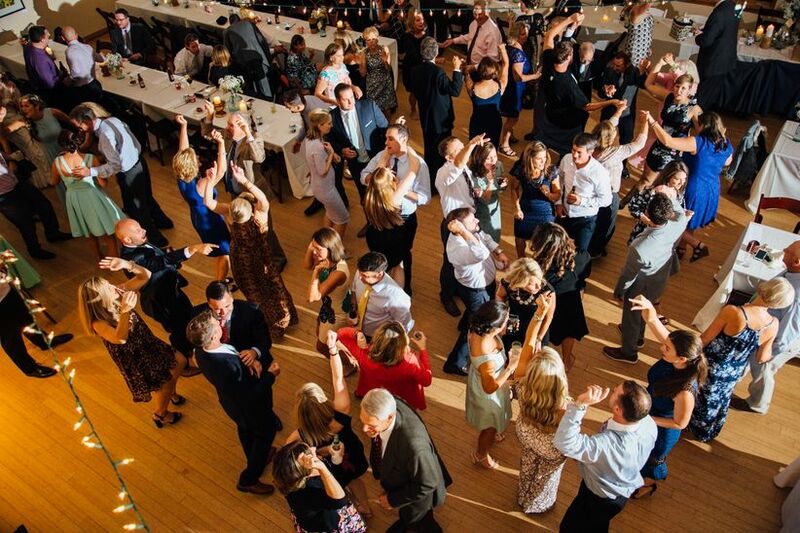 A packed wedding dance floor is the ultimate sign of an amazing party—and an empty one is a huge mood-killer. 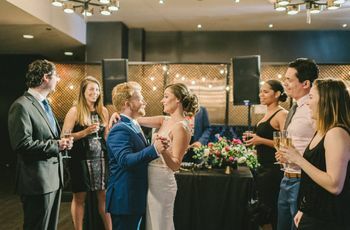 So how do you keep your guests out of their seats and dancing, as opposed to mingling at their tables or, even worse, congregating in the venue lobby or bathroom? Want your guests on the dance floor all night long? Check out these expert tips! Let the pros control the playlist. 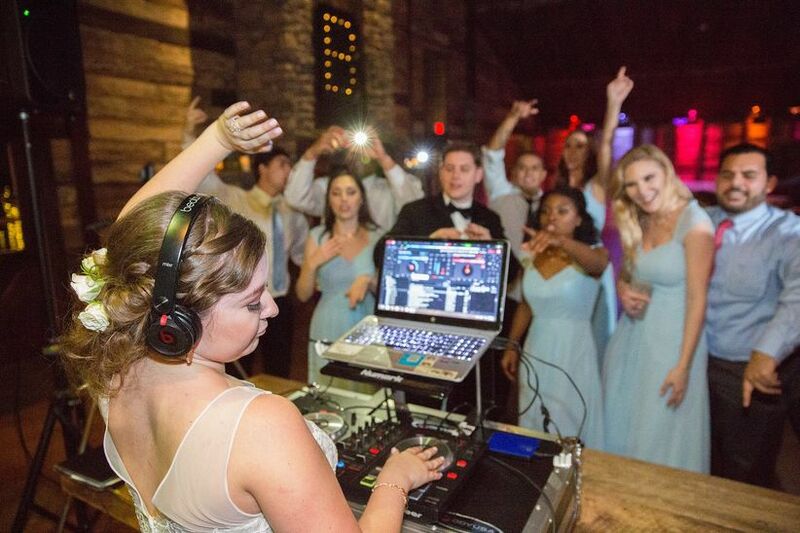 Allowing your wedding guests to make song requests may make them more interested in staying on the dance floor. The best way to field requests? Include a section on your wedding website that allows guests to share their song requests. That way, you can review them (just in case your troublemaking cousin tries to add that tune he knows you hate), and pass them on to your music pro. 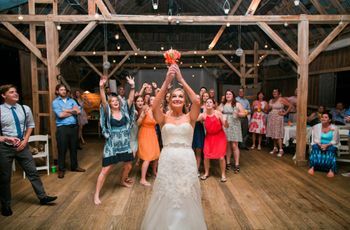 Many bandleaders and DJs will only take requests from the couple during the reception, and may be wary of any guest song suggestions. 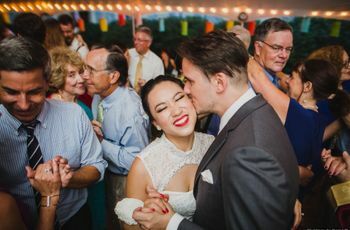 Most music pros recommend serving your entire wedding meal (including toasts and speeches), and then having an uninterrupted dance session afterwards. “Please do not break up the dancing,” says Paul of Bozeman DJ Entertainment. “In my own experience, I’ve witnessed that breaks in the dancing can crush any momentum. 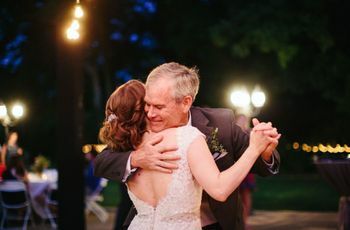 Uncle Bob is doing the worm across the dance floor, but wait, we now need to cut the cake or play a slideshow.” And if you really want to keep your guests dancing, you may want to skip traditions like the bouquet and garter tosses—which tend to clear the floor quickly. Start the night off right. 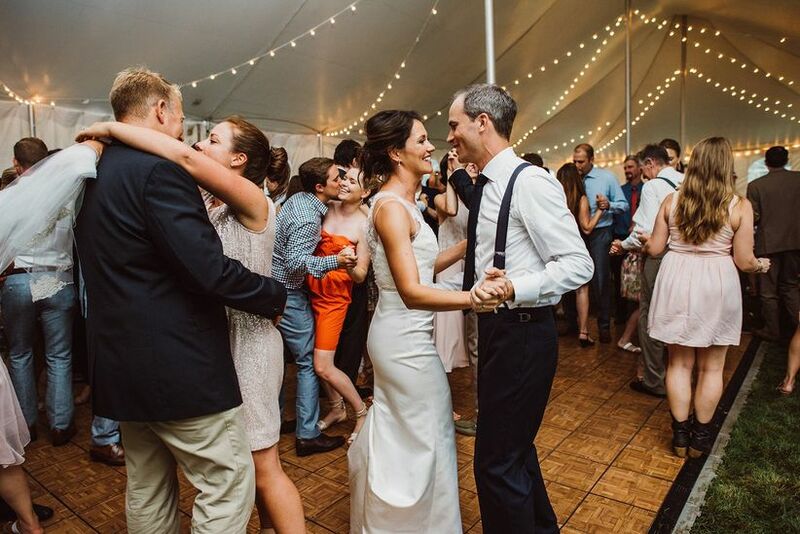 The song that welcomes guests to the dance floor, usually after the first dance or parent dances, is a crucial one. Different music pros have different opinions on the right tune for this moment. Paul of Bozeman DJ Entertainment starts with “Amazed” by Lonestar followed by “Old Time Rock n’ Roll” by Bob Seger. Erik Riekenberg of Epik Weddings in Reno/Tahoe, Nevada is all about Bruno Mars and Michael Jackson. For Bobby Reynolds of Hey DJ in Virginia Beach, Virginia? It’s “Shout” by the Isley Brothers. “That’s a great song that will drag just about every human being on to the dance floor,” he says. “The biggest reason why you lose people on the dance floor is that the couple just isn’t there,” says Eytan of Sugarbabies Inc. “People pay attention to where the couple is and what they’re doing.” Make sure you take your wedding portraits before the reception, and greet and mingle with guests during cocktail hour and dinner, so you aren’t taken away from the dance floor for too long (remember, you can absolutely take breaks to rest your feet or use the bathroom!). And enlist your wedding party to join you—it’s part of their “job” to have a great time and get their groove on! Trick ‘em with a group photo. Don’t go overboard on the slow songs. 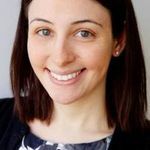 One of the trends Eytan of Sugarbabies Inc. has been implementing is the idea of a “soft close” at the end of the reception. Instead of keeping the partying going until the last minute and then abruptly stopping the music, he recommends stopping the raucous music a few minutes early, giving guests time to gather their things, say goodbye, maybe take a last-minute selfie. “It’s all about having that smooth transition to the end of the night,” he says.